Katusa snack-bar delivery at its finest! 🙂 A little soondubu jjigae (spicy soft tofu stew) steamed dumplings, rice, and the traditional sides, all equal a happy little food belly! Yum! What’s serving up at your place for lunch? Diving with Aquatic Frontier, the weekend of 26-27 November 2011. The owner, Allen Rivera, was able to conduct 4 diver specialties including: wreck diver, deep diver, night diver and peak performance buoyancy as well as conduct a Rescue Diver certification. Aside from an extremely busy weekend we were able to get some great diving and video in now that we are ending the year. Come dive with Aquatic Frontier in South Korea. Today was a bit overcast and gloomy, however that wasn’t going to stop me from getting out and about. It’s Saturday! Our weekends have been pretty jam-packed lately. I only have a few more days to get my act together before needing to ship out family and friends Christmas gifts. 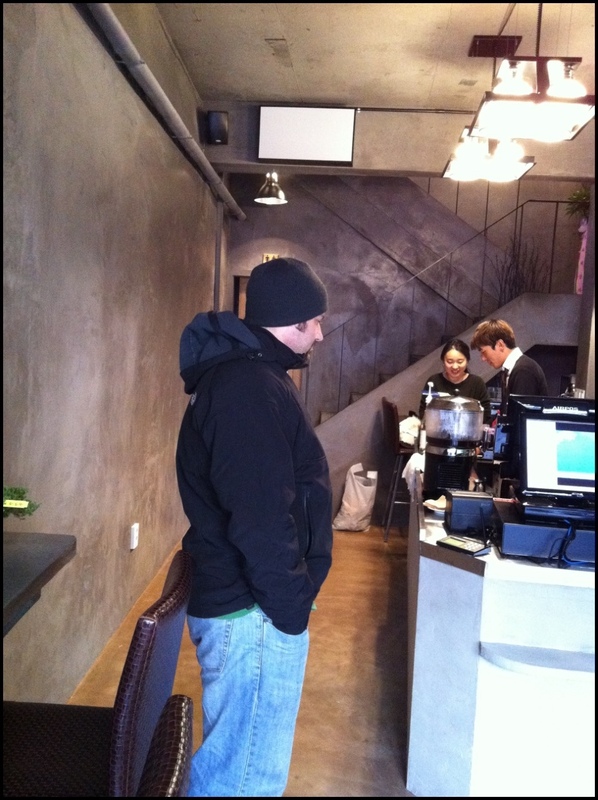 I woke up, met my friend, and we headed to Namdaemun. This was the first time that either of us had the opportunity to check the place out, so we were both really excited for a new adventure! 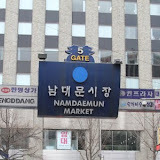 For those of you who may not know what Namdaemun is, it’s Korea’s largest and oldest wholesale marketplace that spans over 10 acres. 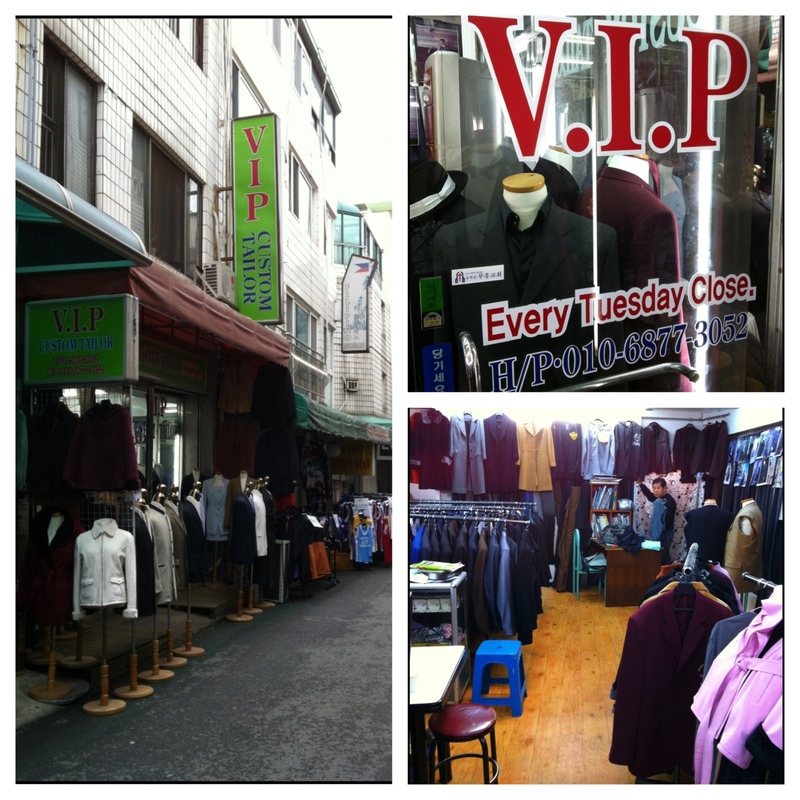 It’s located near downtown Seoul and is filled with over 1,000 vendors, stalls, and retailers. This place has everything! You can find adult/children clothing, shoes, material, cook-ware, fruits, vegetables, flowers, toys, jewelry, purses, cosmetic items, the list is just endless. Namdaemun is a great place to work your bargaining techniques! 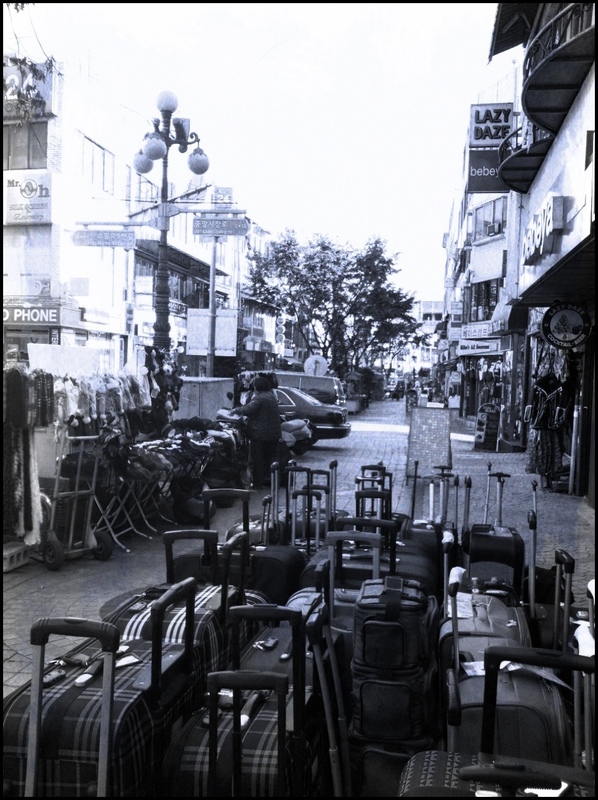 After moving to Korean we learned very quickly that Koreans want and expect you to bargain for a good price. We scored some pretty awesomely priced items after working our skills. Word to the wise, don’t give up.. if you find something you like and the price just isn’t right after trying to bargain, walk away. We were really lucky in finding exactly what we were after at various places for better prices. There are plenty of places to eat within the marketplace. We actually stumbled into an alley-way that had many options. We opted for soup to warm us up. Many of the restaurant owners would try to get us to come in and eat what they were serving by saying, “We have English and picture menu”. HA-HA! What a riot! We both settled on 육개장 yook-gae-jang, Korean spicy beef soup. Yum! Major emphasis on the spice part as well. Of course the meal was served with a few traditional sides and bop (rice). We wondered our way around the marketplace for hours. It was starting to get dark so we both decided to call it a day and catch the train back home. We had a blast! I think you will too if you get a chance to check the marketplace out. Directions to Namdaemun by Subway: We took line 1 to Chang-dong where we transfered to line 4 and got off at Hoehyeon Station. Follow the signs to exit 5 – Namdaemun Market it will bring you out right at an entrance into the market area. Simple! I love Thanksgiving! It’s a beautiful holiday, filled with time to sit, relax, break bread and reflect on everything the last year has given us. 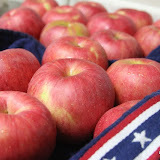 Of course I’m going to jump on the blogging bandwagon and list what I’m thankful for. My list is GIGANTIC! I don’t know that my blogsite would have enough page posts to complete it. However, I want to publicize the very important ones in this post. First, words truly cannot express enough how thankful i am for my big wonderful family, this includes my amazing husband. Without them all I would not be where I am today. I’m going to miss them dearly during this holiday season. I am also incredibly thankful for all of our friends. We Bees have been so blessed to make such amazing lifelong friendships all over the world. Thank you for your true friendships, you kindness and caring hearts! This Thanksgiving has many firsts involved. It’s the first time in my entire life that I’ve been away from my family at the holidays. The first time I’ve never had to visit to this house, that house, and so on, eat multiple meals. What a weird feeling! It’s the first time I will cook and host an entire friendsgiving meal alone. 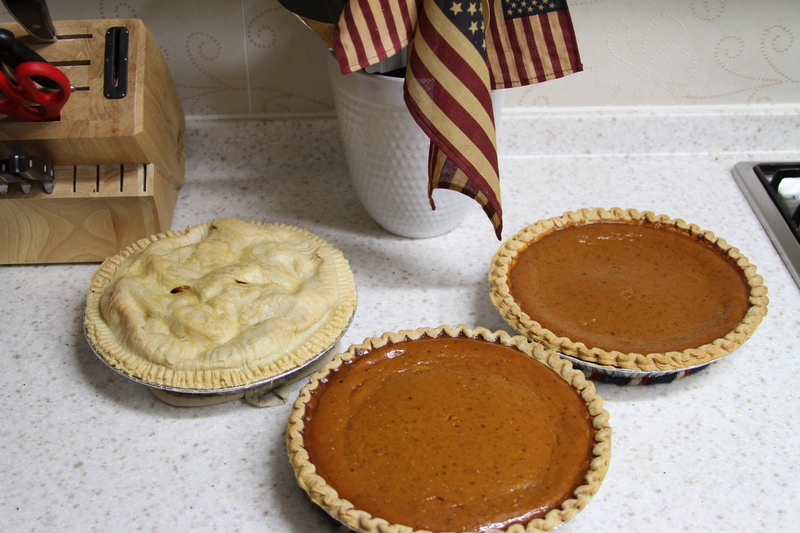 Oh yeah, don’t laugh…this includes pumpkin pie and apple pie by myself too! Look out! Yes, prior year I was super spoiled and got to chow down on my Dad’s apple pie, or Grandma’s pumpkin pie, or my in-law’s amazing stuffing! Not this year. This year to enjoy it, I have to recreate it….the pressure is on! I love having the tradition of getting up and watching the Macy’s Day Parade Thanksgiving morning in my pjs and eating breakfast! This year will be a first that I don’t have that feeling… it will be so different because it will airing at night because of the time differences. Instead of enjoying my bowl of cereal it will be a bowl of pumpkin pie and ice-cream 😉 I suppose I can deal, ha-ha! Last night, Thanksgiving Eve, I was baking and cooking up a storm! I had Christmas tunes playing on the Sirius radio (Mr.B made fun of me the entire time).The oven had some of the most amazing aromas venting from it. Mmm! Amazing how certain smells take you back to some great childhood memories. Wherever you may be located, we want to wish you and your loved ones a blessed and safe Thanksgiving! What are some of your Thanksgiving traditions? Are you experiencing any new “firsts” this year? We would love to hear your thoughts! Last night we went to dinner with Mr. B’s Scuba instructor and his wife. We wanted to take them out to eat because we couldn’t say thank you enough for helping to find Mr. B’s scuba-cam. 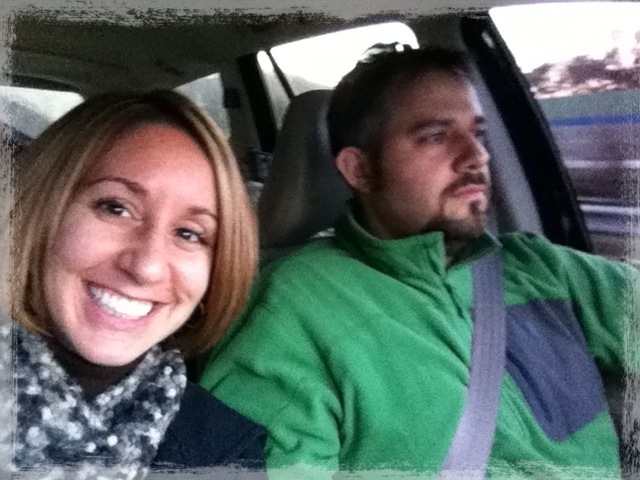 They are such a fun couple! 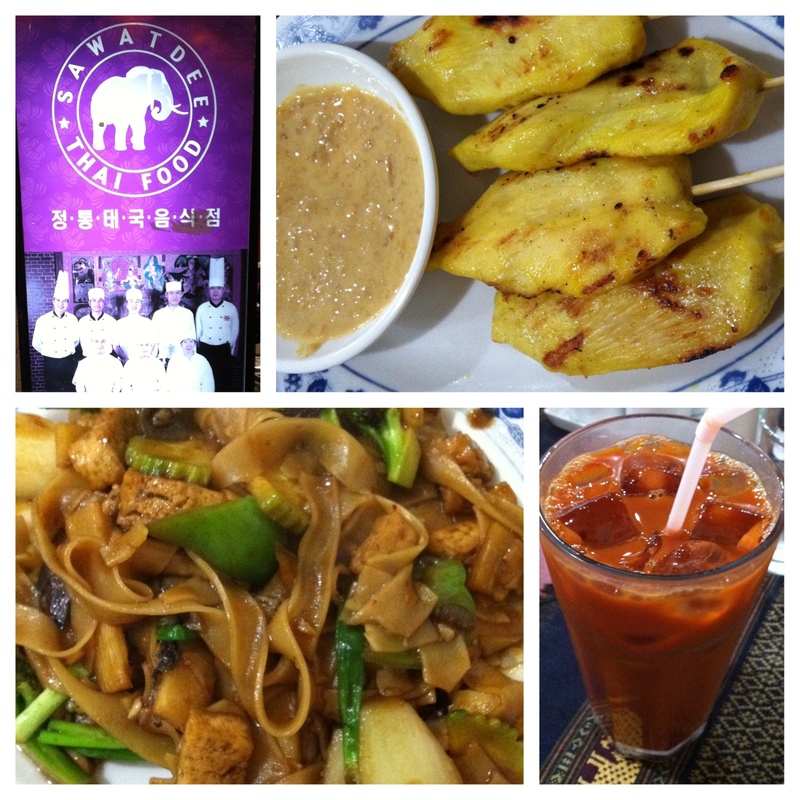 I also have to tell you that they introduced us to a Thai restaurant called Sawatdee. Ooooh man, we may have a new favorite! Sawatdee is a pretty tiny place, but don’t let the size of the restaurant fool you! This place packs some really large portioned flavorful dishes. We all ended up getting drunken noodles. Mr. B had opted for beef while I opted for tofu. It was outstanding! We really liked that you could adjust the spice factor of your dish when you ordered. 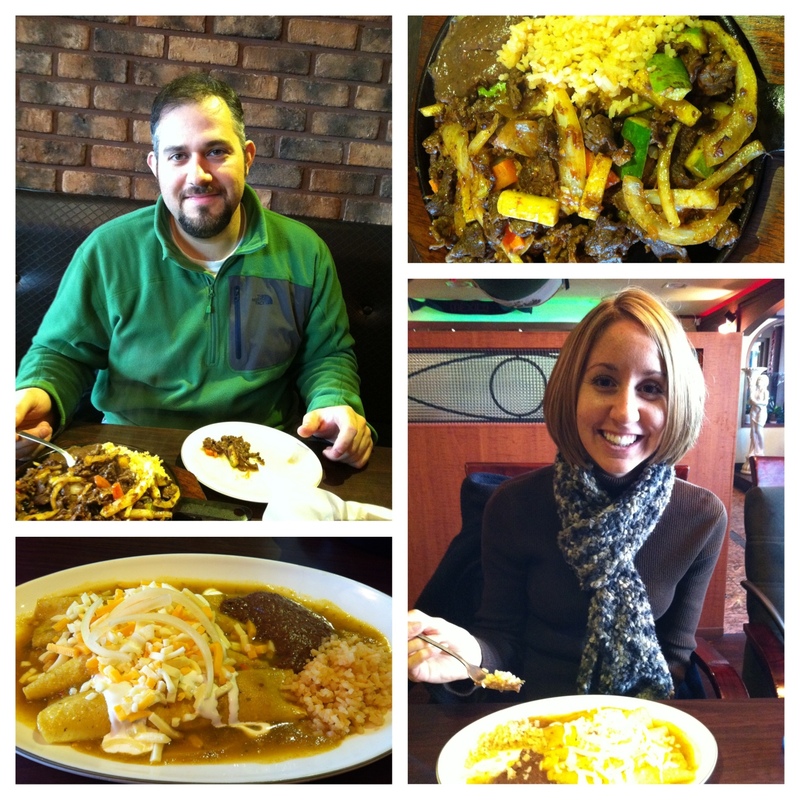 If you learn anything about us when it comes to food, it’s that we LOVE spice! We both ordered a level (2) it was perfect-o! So yes, you can say we were in food heaven, I swear this dish was laced with crack because we couldn’t stop eating it. Bonus, we got to wash it all down with a Thai-tea. Of all the times I had eaten Thai food, I never had a Thai-tea. Again, I can’t think of any other word to use but outstanding! After dinner we were all pretty beat. HA-HA! 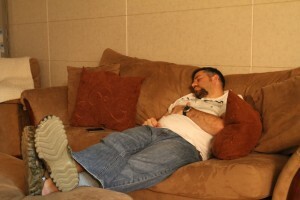 You know I had a hard day walking around eating and shopping all day. The temperature took a major dip so we were ready to get back to the hotel and get cozy for the night. Sunday morning came bright and early for Mr. B., 6AM to be exact! What a crazy dedicated man! I however slept until 8AM. I was so happy to see that the sun was out and shining this early. I got up, went down to the coffee shop in the hotel, grabbed a bowl of special K with berries and a banana and rushed back to our room. I had a date! 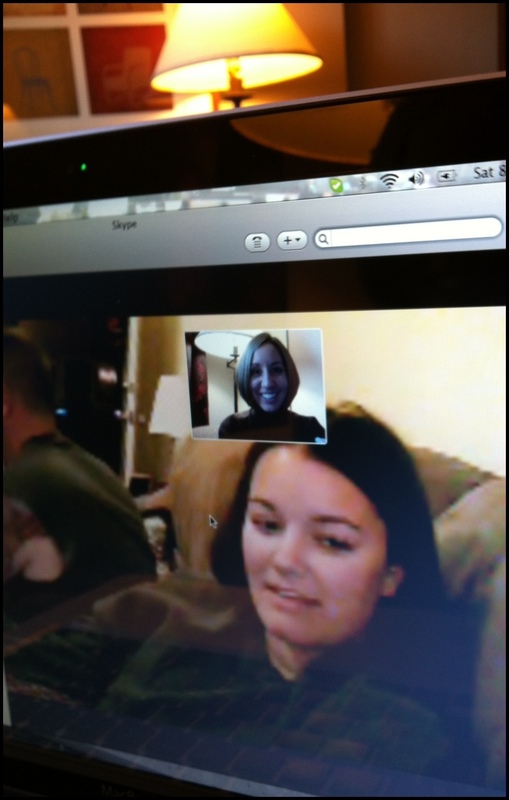 A Skype date with one of my best friends from childhood. I always look forward to being able to Skype with my family and friends. It really makes me feel that we are only a few states away instead of 6798 or so miles. 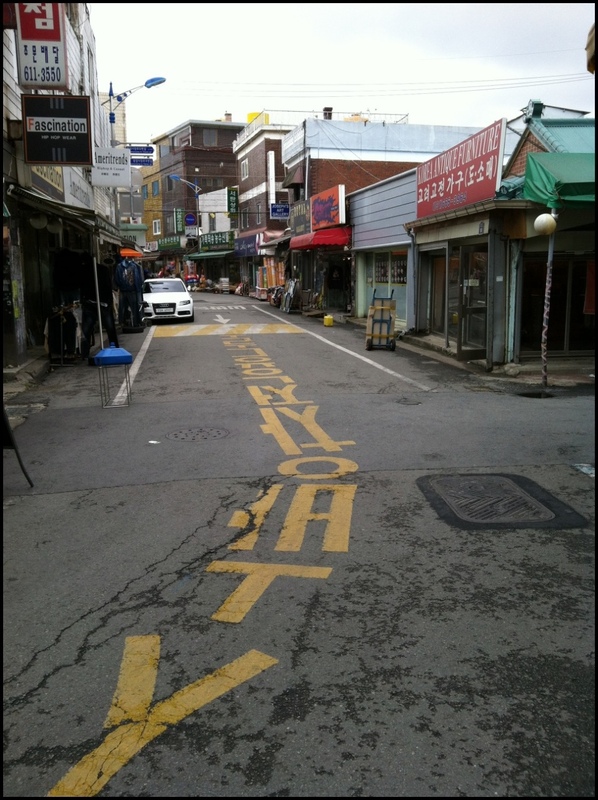 After Skyping I headed back to the Songtan Marketplace area. Brrrr!!! When did South Korea get so cold?! I feel like we went from summer straight into winter! My teeth were a bit chattery! Okay, okay, I may be doing a bit of over-exaggerating… but it was still COLD! Just looking at this picture makes me feel cold! Brrr! At this point you should already know that I had totally mapped out where I was going to be grabbing lunch. MmmmHmmmm… Mexican at a restaurant called La Casa Del Mexicano. Plus I heard it was actually authentic Mexican! WOOT-WOOT! No Korean fusion. Killing time walking around, Mr. B called me and let me know that his testing was over for the day. He asked me if I had grabbed lunch yet. I hadn’t, however Mr. B really is not a fan of Mexican. I have to let it be known that he wanted to join me and was going to actually eat Mexican! This was a monumental moment, of course I snapped some pictures of our lunch as proof. Lets hope that they hold the cilantro in their dishes. 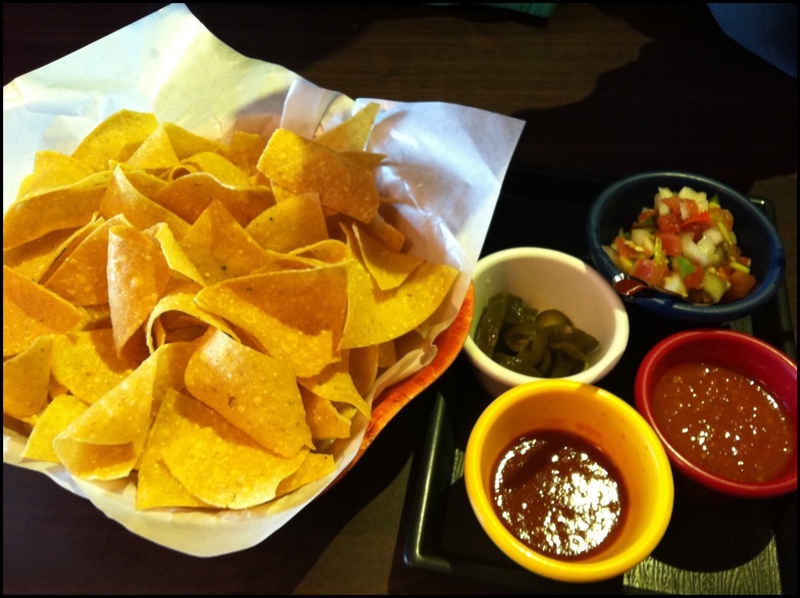 We just love us some good salsa and chips! 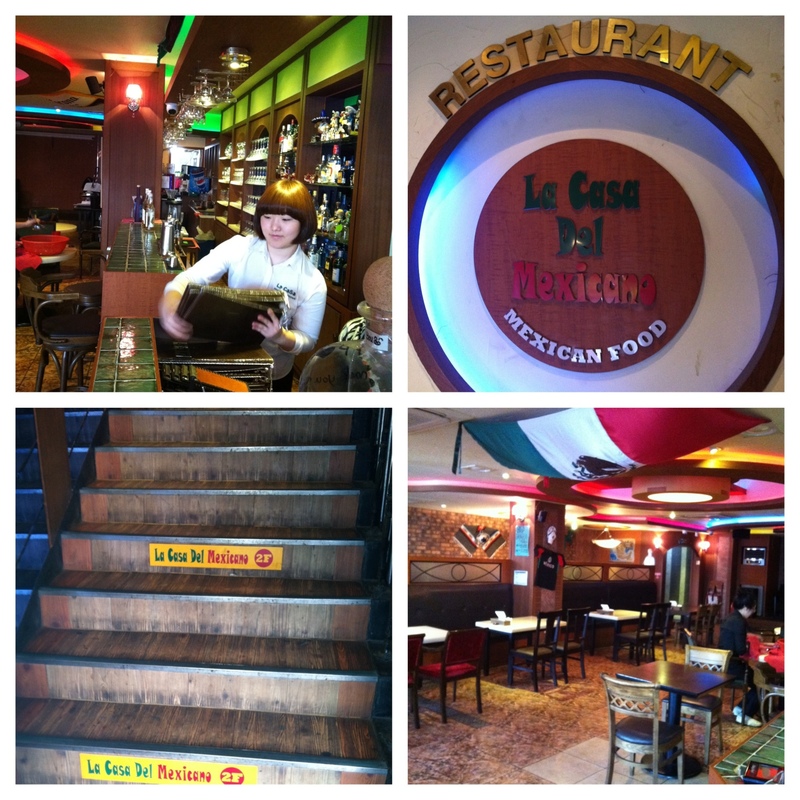 Final verdict – We BOTH enjoyed our lunch at La Casa Del Mexicano! Add it to the list of places we would return back to in the area. 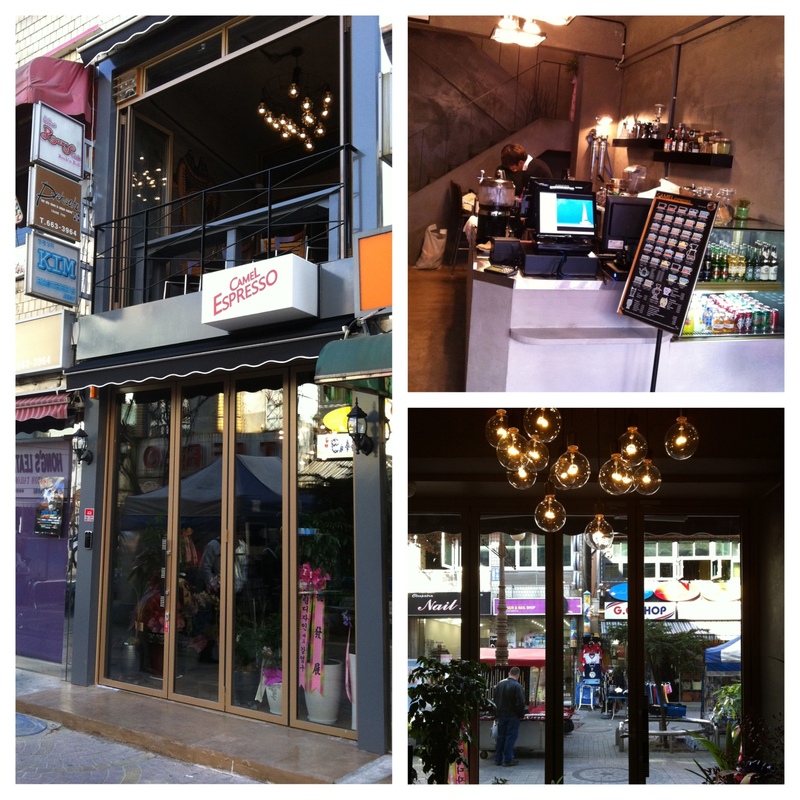 After lunch we walked around a bit, stumbled upon a new coffee shop called Camel Expresso. Of course Mr. B couldn’t pass up a nice hot caramel macchiato. I am glad we went in because it gave me an excuse to check the place out. 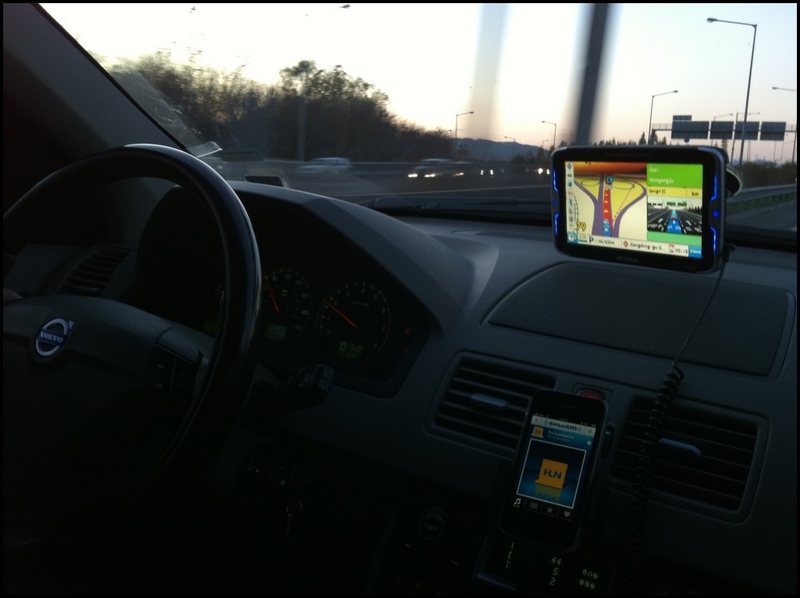 The interior was pretty modern and sleek. 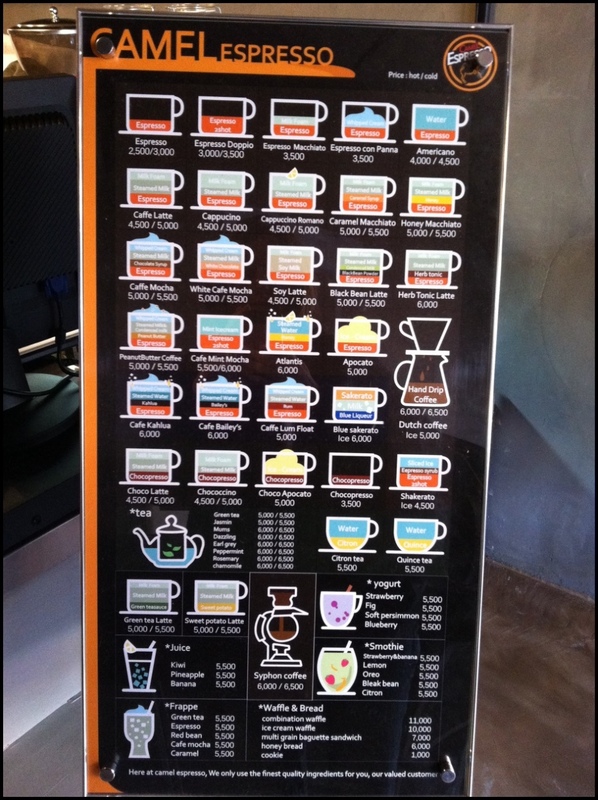 The staff was very serious about the product they were selling and offered a nice variety of hot tea and coffee drinks. Snapped a menu shot for you, sorry about the post being all iphone picture quality. We finished the rest of our Sunday purchasing some Christmas toys for a local orphanage in Dongducheon. Eventually we got on the road and headed back home for the upcoming work week. Remember November = Kimchi making month for most Korean families. We were behind this trunk hauling a heaping mound of the record breaking cabbage. Entertainment for at least 5 seconds. Ugh! I jinks us! 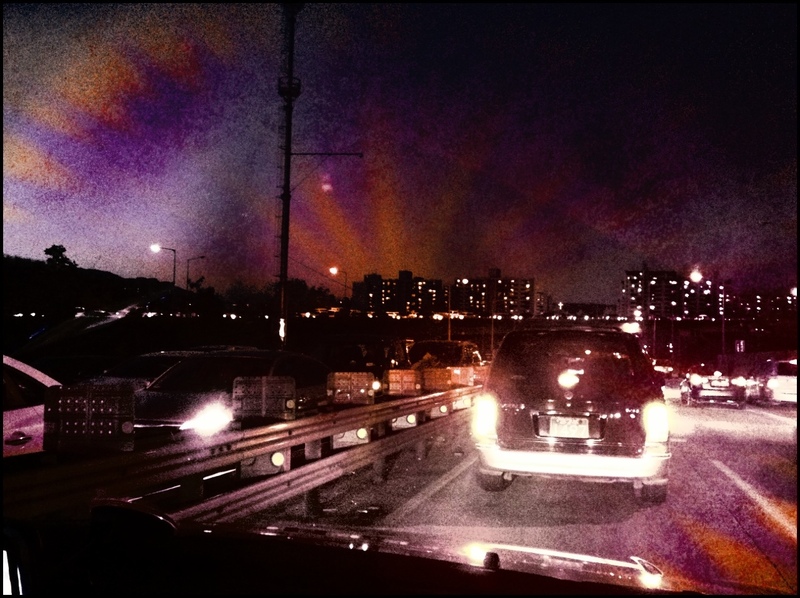 We hit the typical traffic in Uijeongbu. Although it wasn’t terrible and we were still getting home close to dinner time. Dinner?! Eeek! We didn’t even stop to think about what to make for dinner. Dinner…yes, hmmm… What to make? What to eat? Well, we decided that we would get home unpack, visit with Miss Bean cat and walk to the new pizza shop that opened up near our place. Secretly this was an item on my Korean list that I wanted to do while living in Korea. I know what you are thinking! Don’t judge me. Take a look at these pictures below! 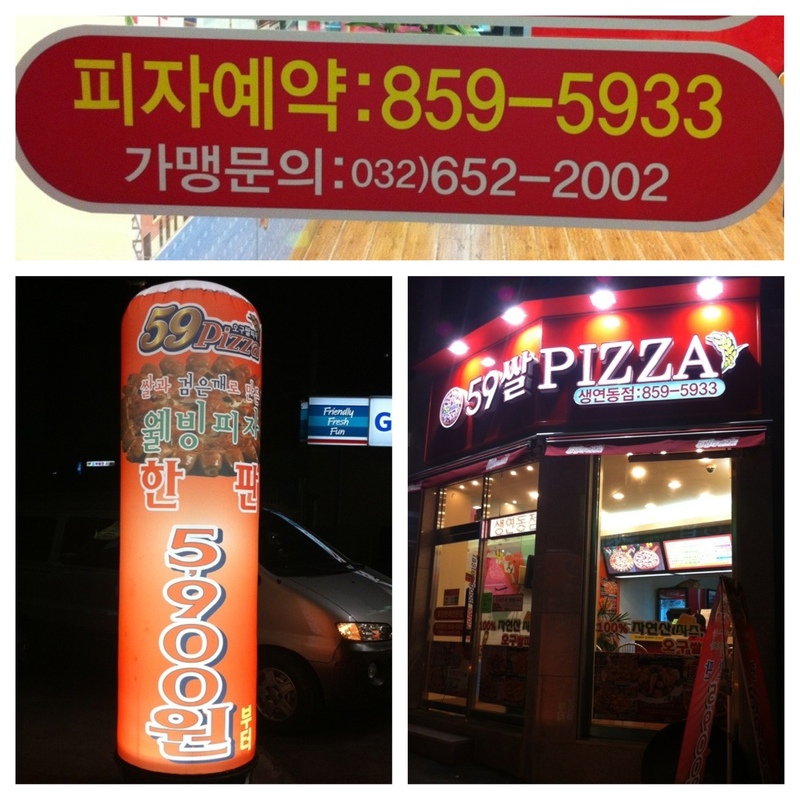 Who wouldn’t be curious about the Korean take on a pizza. Hey, don’t knock it until you try it! See the little twisty bread bite crust? It totally fooled us! We thought it was cheese! Wrong, it was filled with sweet potato. Note the yellow specks? Not yellow peppers, it’s corn! 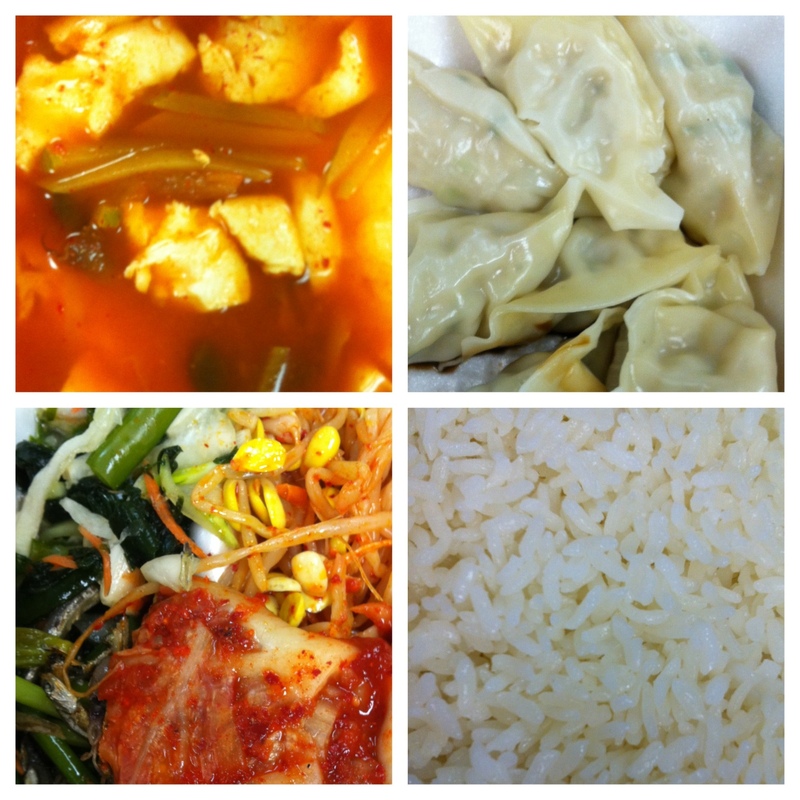 Now you know what we mean when we say Korean fusion. 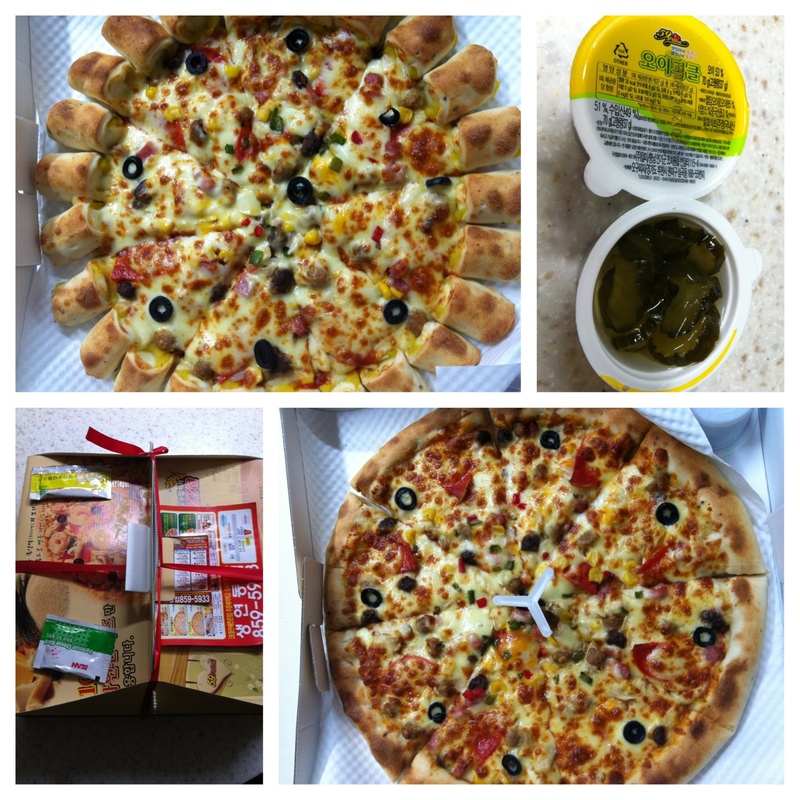 We have to admit, even with the odd choices of toppings, we really liked the pizza and will order there again. 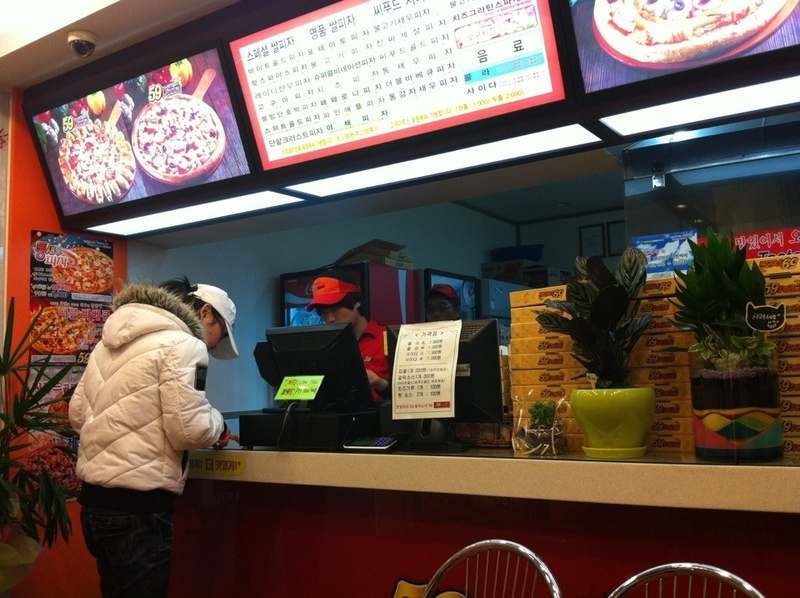 We took our pizza to go because the shop is fairly small and only has two tables inside. The atmosphere reminded us of Papa-Johns or something like that located Stateside. They even wrap the pizza package up with red ribbon for easier carryout back to your place, gosh they are ever so thoughtful here. They tape sprinkle Parmesan cheese and a garlic sauce on top of the box. Oh, and it gets better! They serve little containers with sweet pickles! Who knew pickles went with pizza? Whatever, it works and we loved it! I woke up to housekeeping knocking on the door. 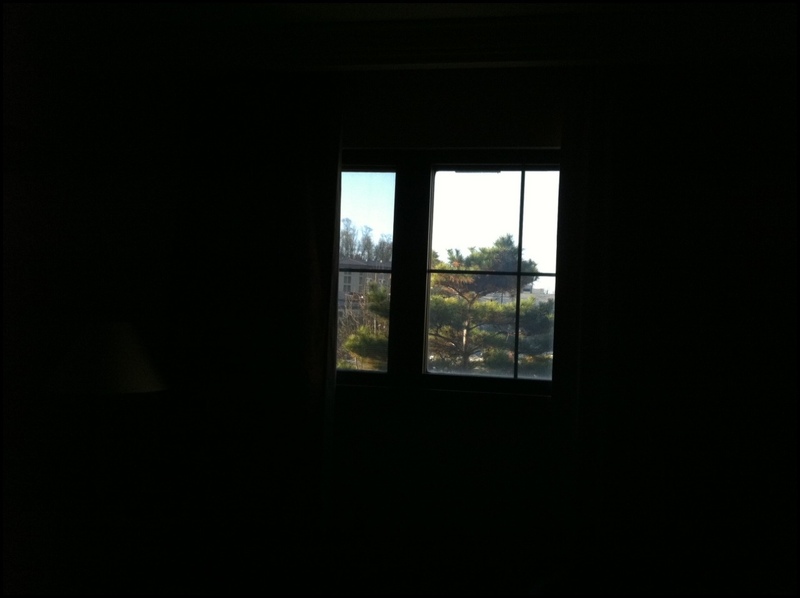 Yes, we Bee’s spent the night in Songtan. Mr. B has a certification to work on for scuba and I decided to tag along too. Wow, I still cannot believe that I actually slept in until 9AM this morning! I can’t deny that it didn’t feel good, I think sometimes you just need to enjoy a nice sleep-in. 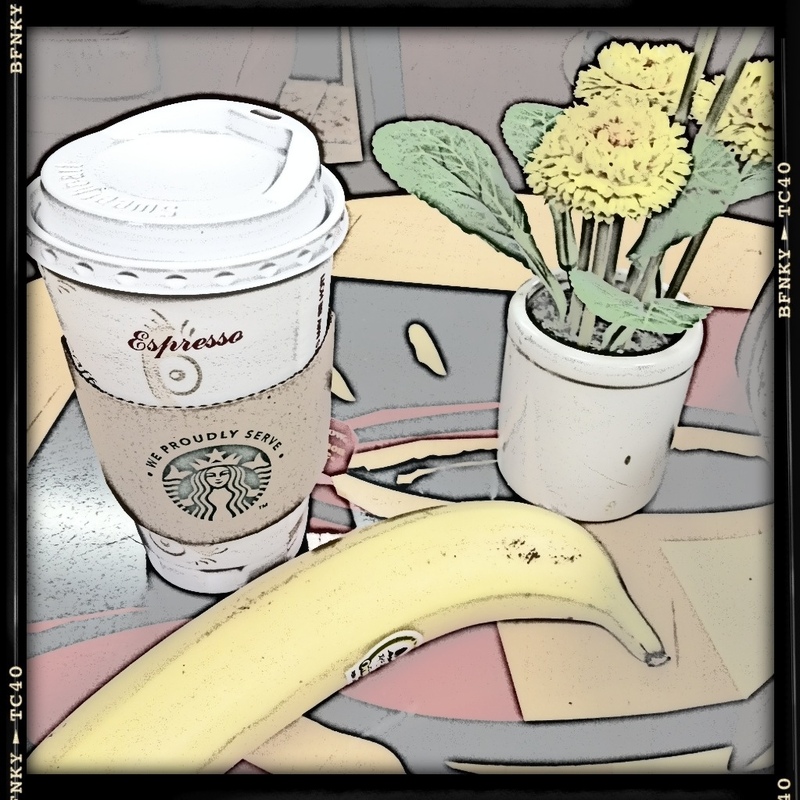 After finally waking up, I grabbed some cinnamon apple tea and a banana and was off for the day. Sipping my hot tea looking at the overcast sky and wet ground I figured id need my umbrella to tackle a day like today head on. 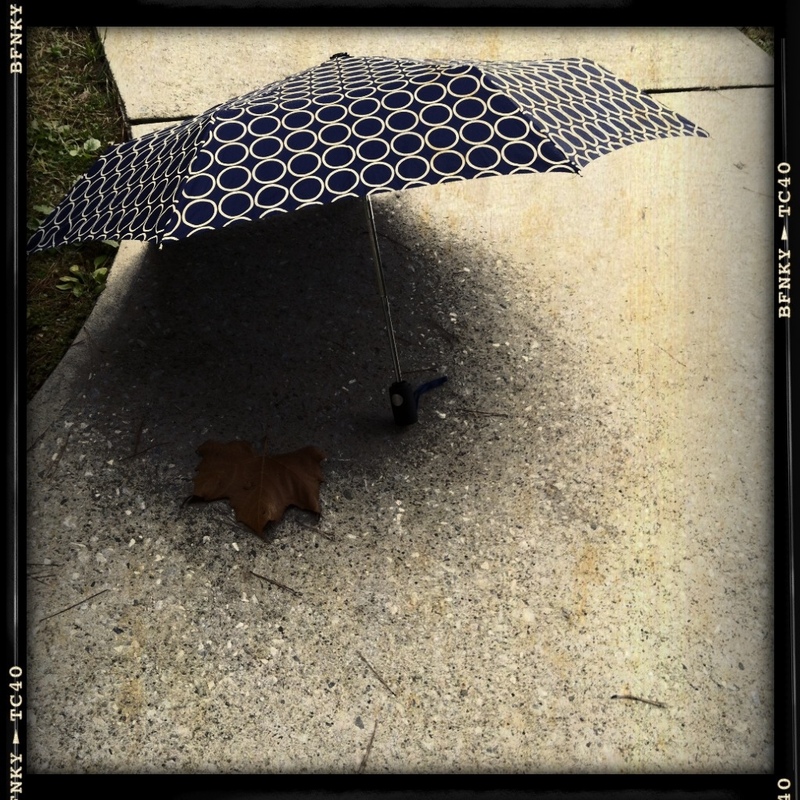 I was delightfully surprised, the rain held off and I didn’t need my umbrella one time throughout the day. YEY! So, I was off with my hot tea in hand! 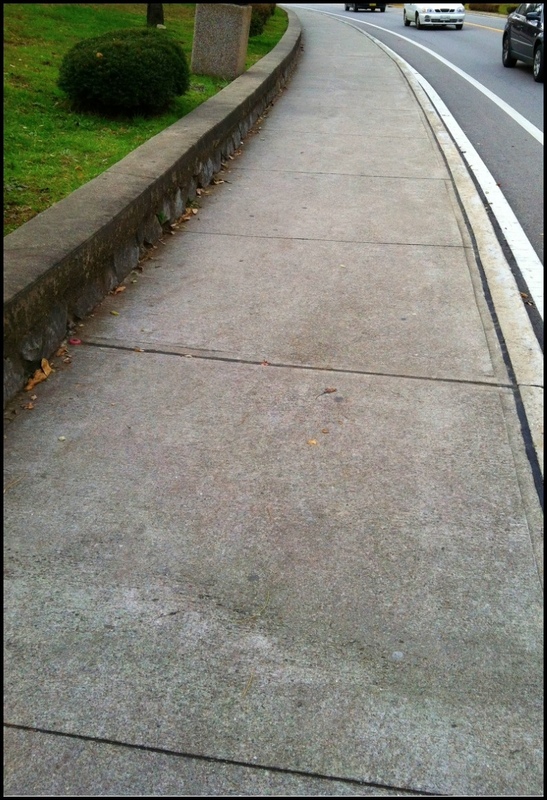 I hoofed it up this hill and quite some ways beyond that until I came to the Songtan marketplace and local shops. 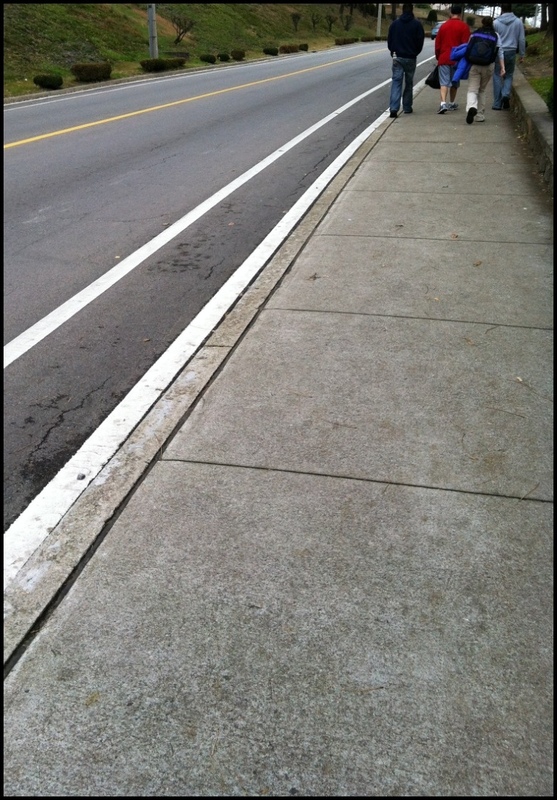 Mr. B thinks I am CRAZY because I enjoy walking over taking a cab or car everywhere. 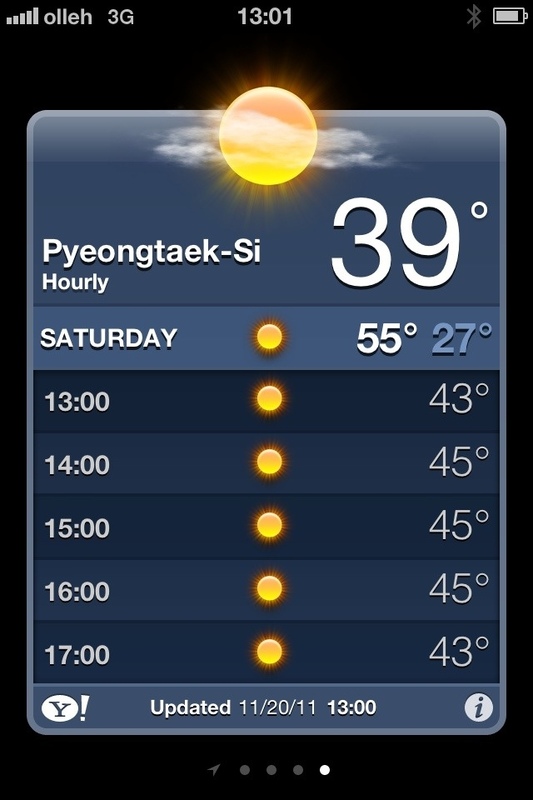 I have to say that the weather in Korea lately has been very unpredictable. One day its warm and the next it’s freezing and you can see your breath. 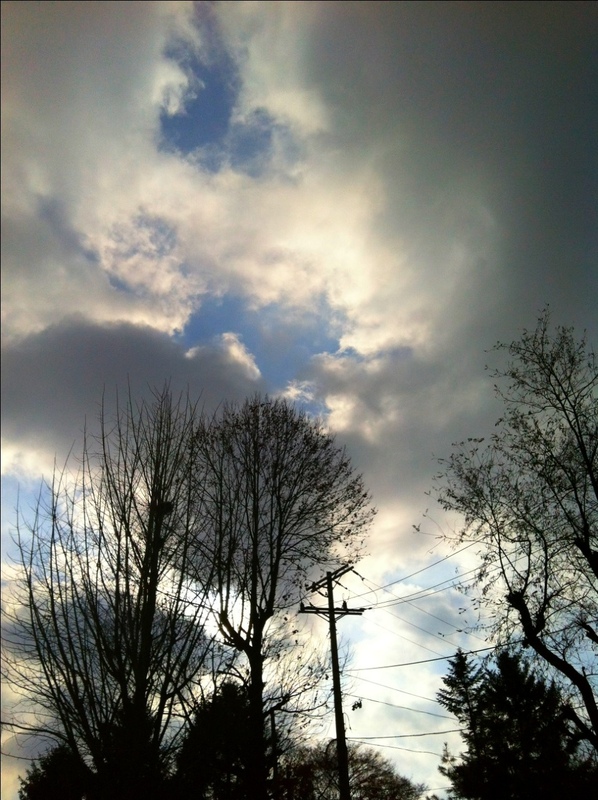 Even with the overcast sky today it was perfect walking weather. Someone told me today that he heard they were calling for snow tomorrow? Really?! Guess we will just have to see what tomorrow morning brings. 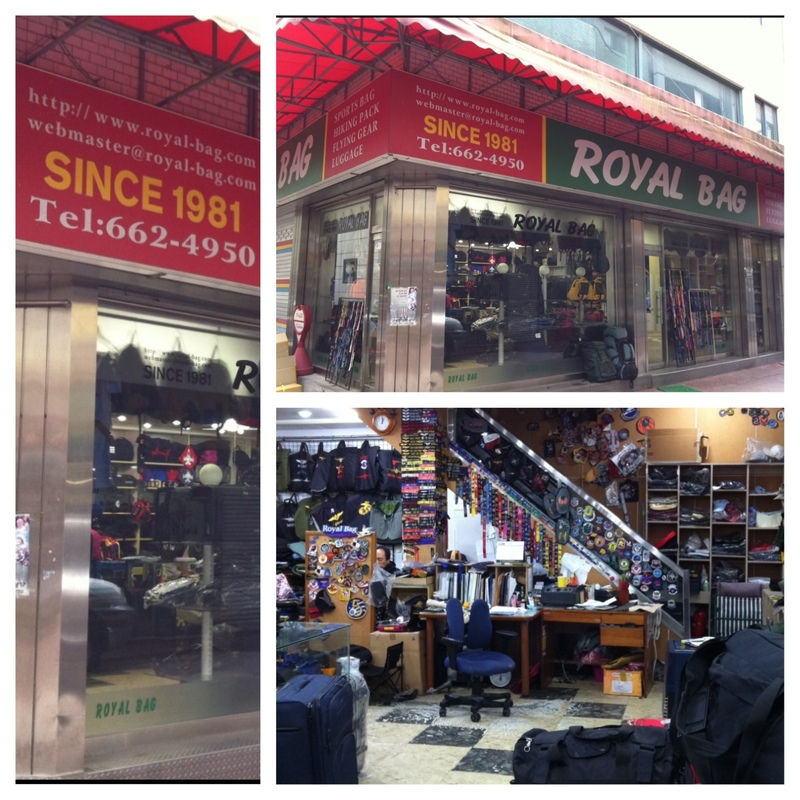 First, I had to stop at Royal Bag for Mr. B. He ordered two bags for his scuba gear. I was really impressed with the final product. While waiting a few minutes for his order to be pulled from the back room I looked around the shop. This place was pretty neat! They could basically monogram anything and did just about anything that was related to a bag. Defiantly worth noting for the future. After leaving Royal bag I was on my way to VIP’s. This is the suite shop that we rave about. I had an order from a few weeks back that I needed to pick up. Unfortunately, she wasn’t ready for me and asked if I could come back tomorrow. Luckily, Mr. B still has more to work on for his scuba certification tomorrow and I can swing back in to grab my order. We still highly recommend the quality of this shop! Basically those were the only two things I had on my list to get done today. I found myself continuing to wonder through the various alley ways. I enjoy window shopping and just being curious about what the next twist in the alley would bring. Korea truly is the bargain shoppers dream! It was after 1:00PM now, my hot tea and banana had completely burned off from the hike. Where to eat? Where to eat? I walked around looking at all the restaurant signs. There is definitely a plethora of places that one can pick from. I tend to be a creature of habit sometimes, not to mention anytime I can get my hands on some sushi or california rolls, you know I am in! OH YES! I did…I went back to the Japanese place that I had the weekend prior. Once again it was outstanding! 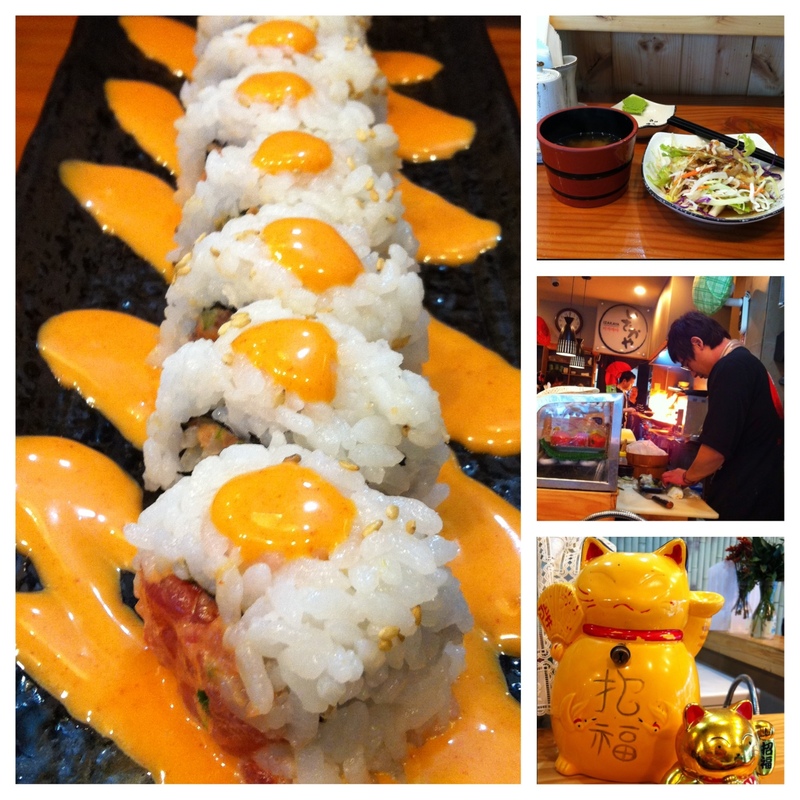 This time I had the spicy roll but had tuna instead of salmon. DELISH! Oh look! 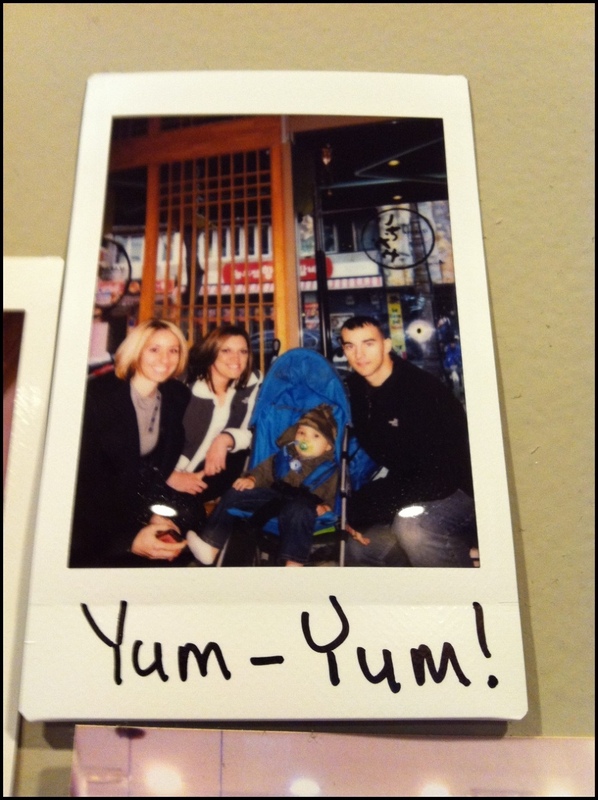 I found our picture on the wall from last week too! After eating my delicious lunch I decided to hoof it back to the hotel and relax a bit. I wasn’t totally sure what time Mr. B would be finished with his scuba adventures today. Back down the hill I went. Half way back to the hotel look what decided to peak through the clouds! Hello Sun! What a beautiful Saturday afternoon it turned out to be. How was your Saturday? Did you do anything fun or exciting where you are? November kicks off Korea’s kimchi making (kimjang) season. 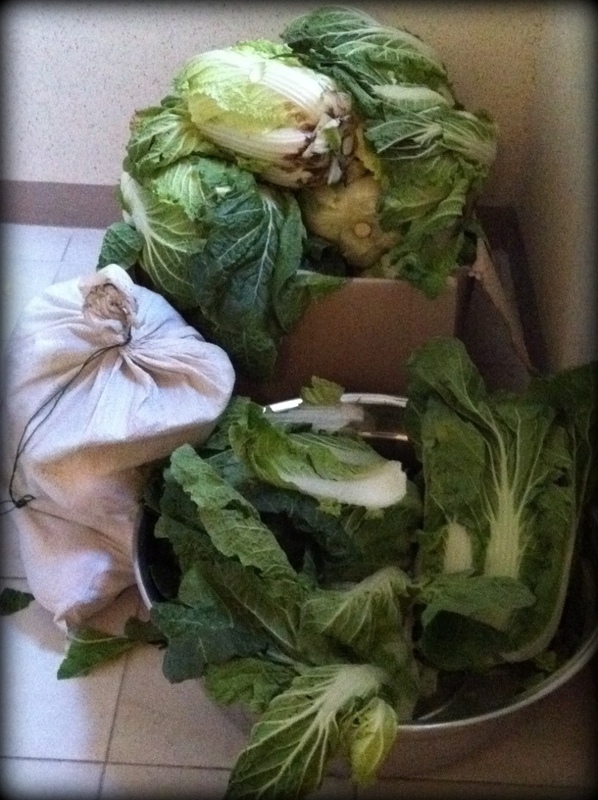 Families stock pile heaping amounts of cabbage to make a large supply of kimchi to get through the winter months. These cabbage heads are HUGE! 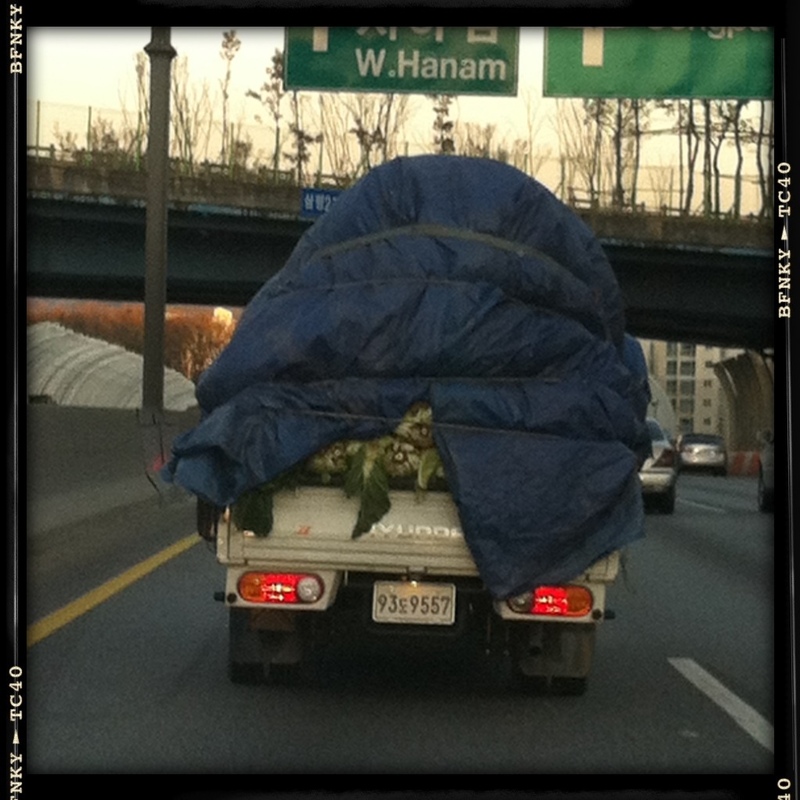 I’m not sure if Korean soil is pumped full of super-duper growing nutrients? They seriously could break some world records here! 🙂 Our Korean neighbors are certainly not wasting anytime getting their kimchi making on! Luckily, we Bees are recipients of three different types of Kimchi today from some friends! Thank you, thank you! We are so spoiled with amazing friendships we have made along the way of our Korean adventures. 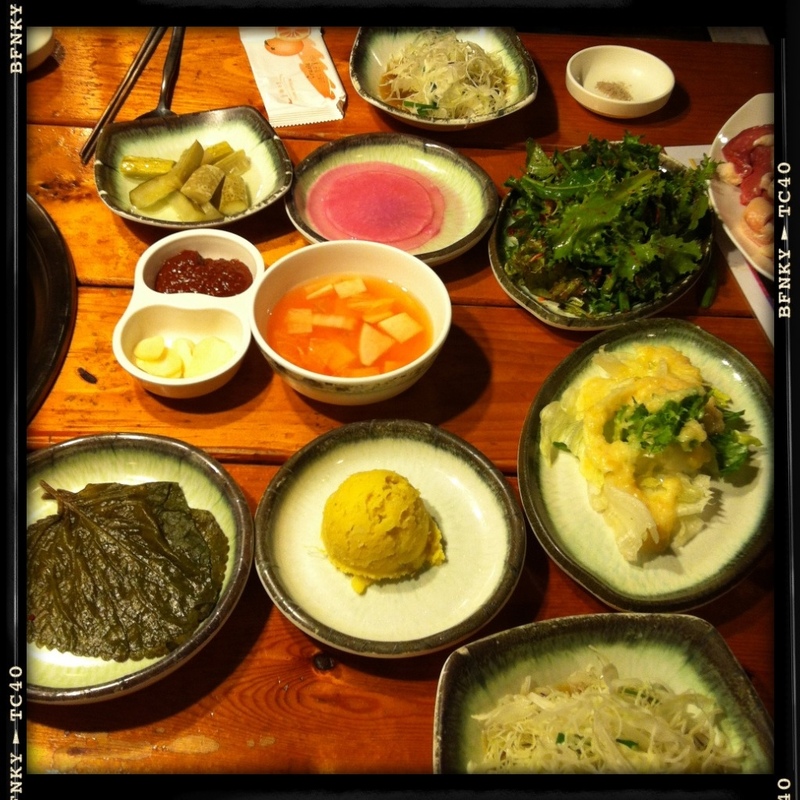 Have you ever tried kimchi? 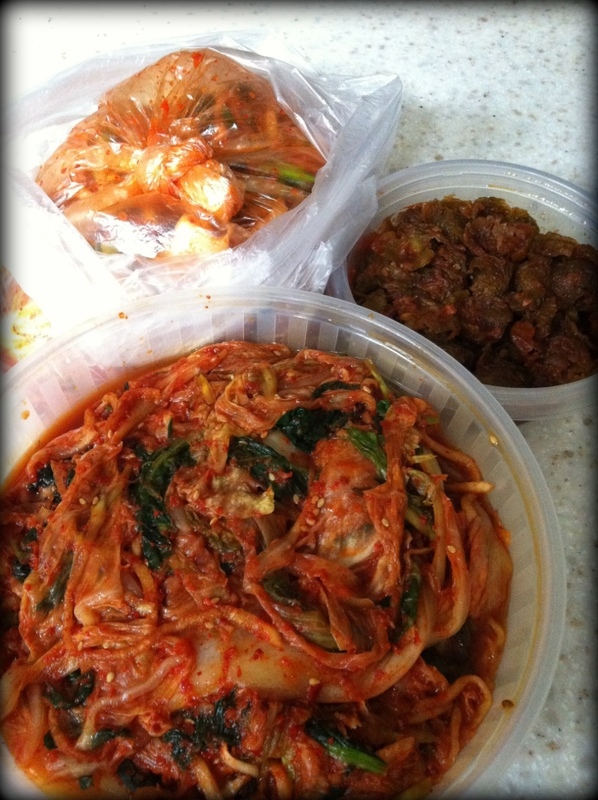 Do you prefer a “new” kimchi or a more fermented kimchi? 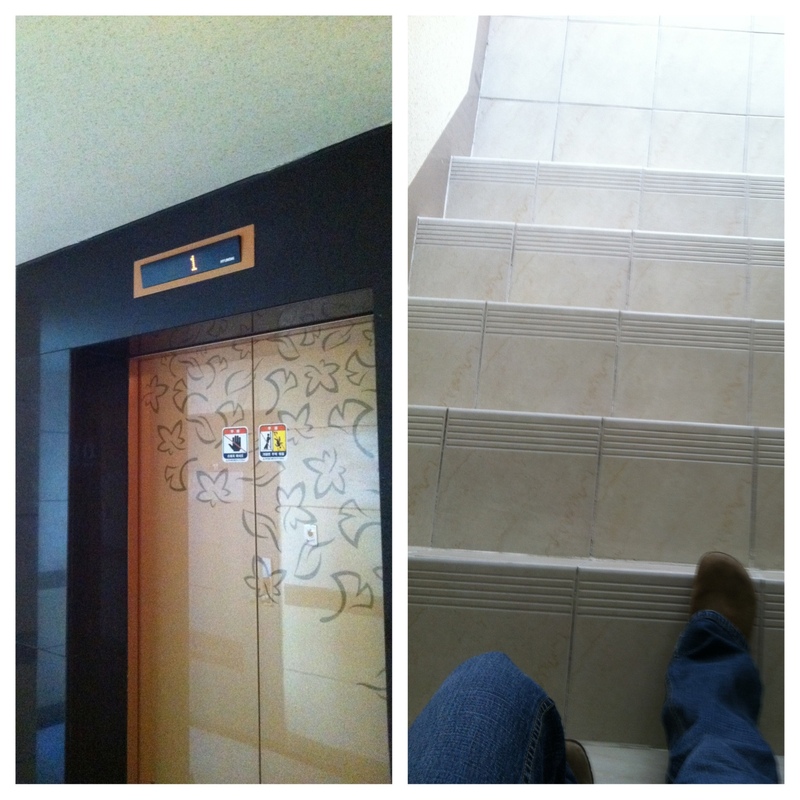 Yes, I tend to take the steps occasionally even if our place has an elevator…Mr. B thinks I’m an oddball. I got the chance to meet up with my dear friend Mary. I have to say thank you again to her husband for letting her get out while he stayed with their twins. 🙂 We decided to give a shabu shabu restaurant located in New City a try. Wow! This place is totally a finders keepers! With the weather getting cooler and cooler this place will be souper! 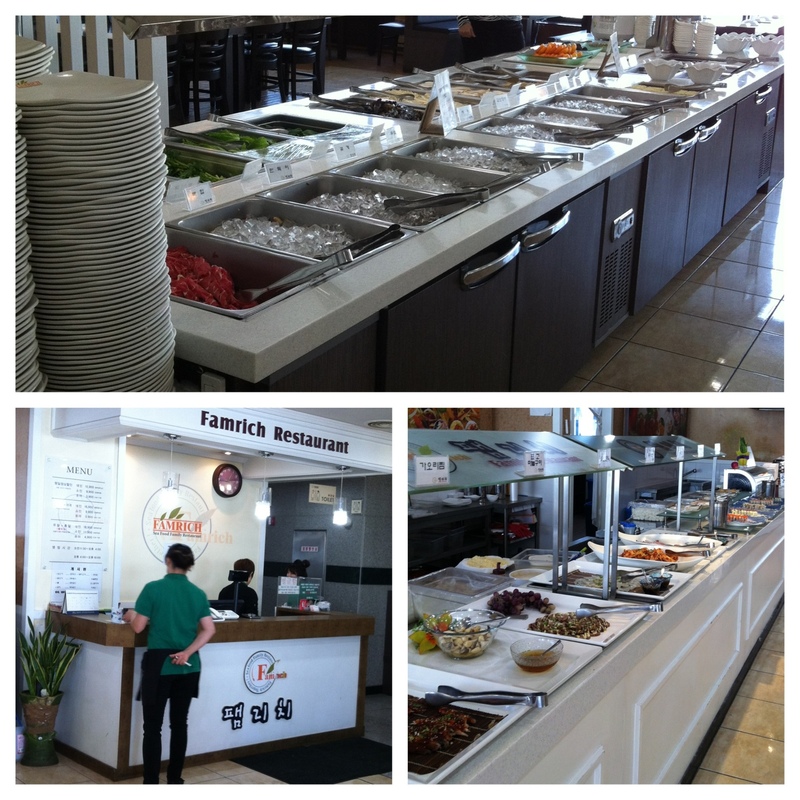 The restaurant is called Farmrich, Located on the 8th floor, and just a few steps from the Jihang station. 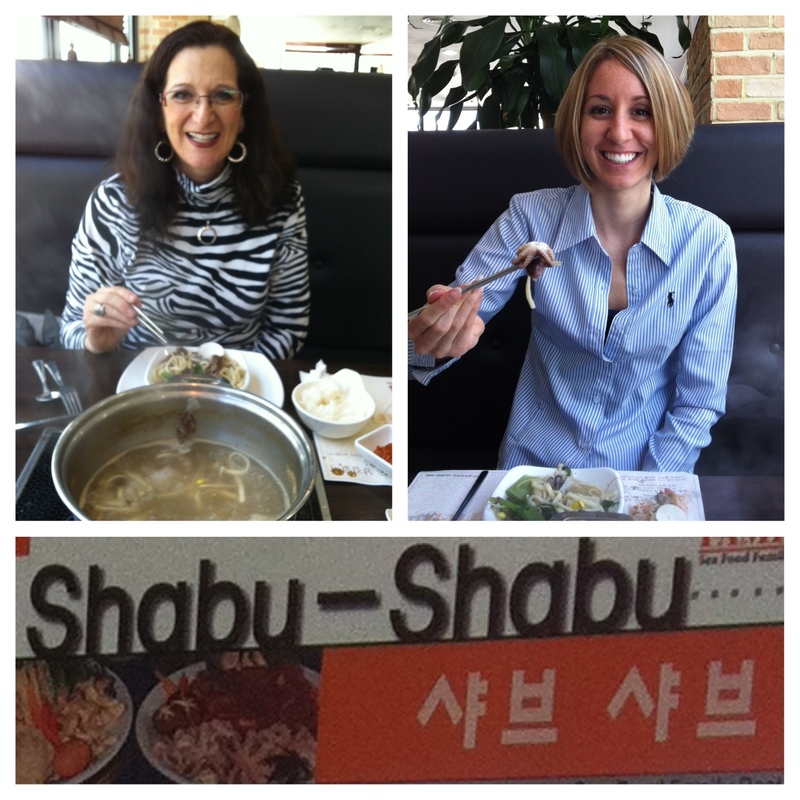 This was my first experience with shabu shabu. 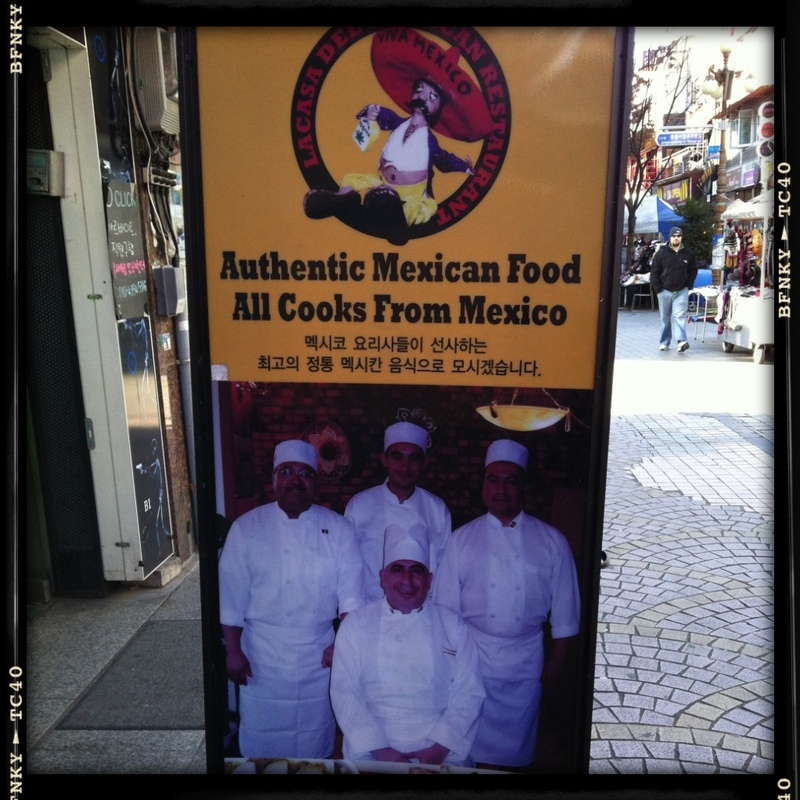 Mr. B recommended it because he had ate here when he first arrived in South Korea. Thanks Mr. B! 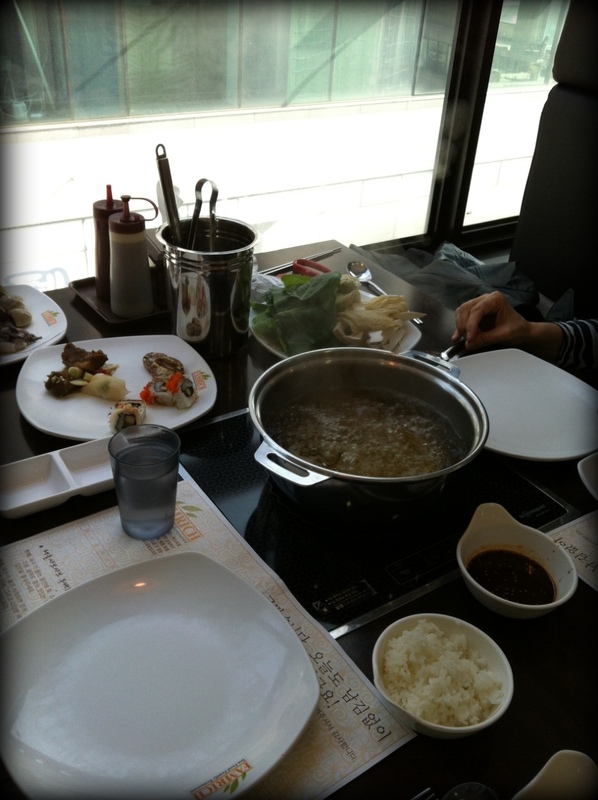 The dish is a Japanese variant of hot pot. The word translates into “swish swish”. This is the sound of cooking the meat or seafood in the pot. 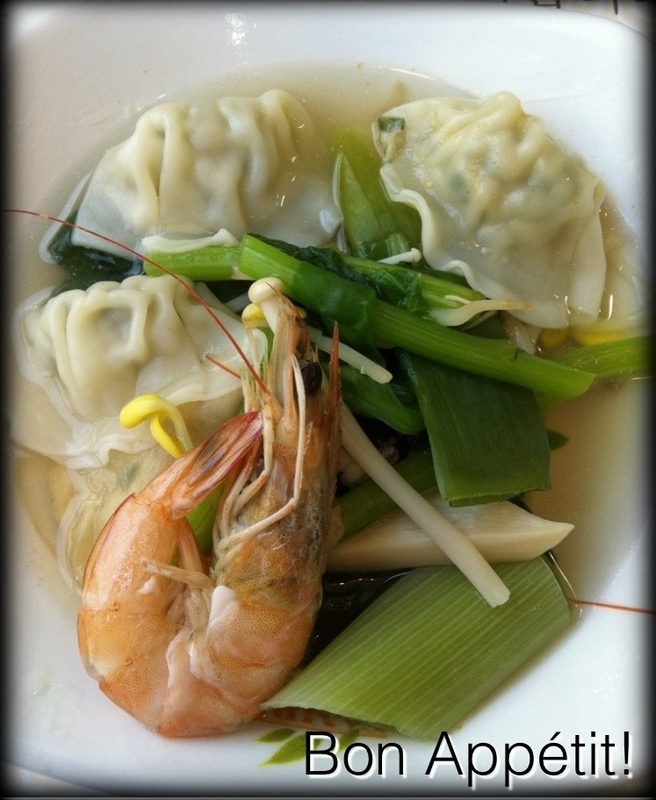 At this restaurant we were provided the pot of broth and were able to pick anything we wanted to add in from an excellent spread of a buffet. 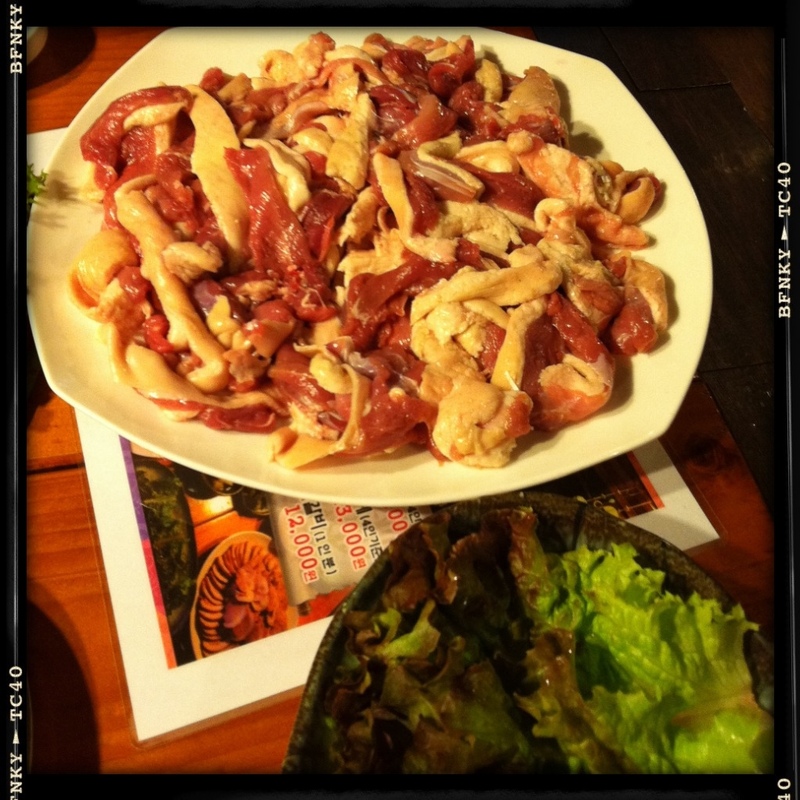 There was thinly sliced meat, various seafoods, and tons of vegetables. Mmm!!! We opted for a veggie, seafood, noodle concoction. Oh yes we did! 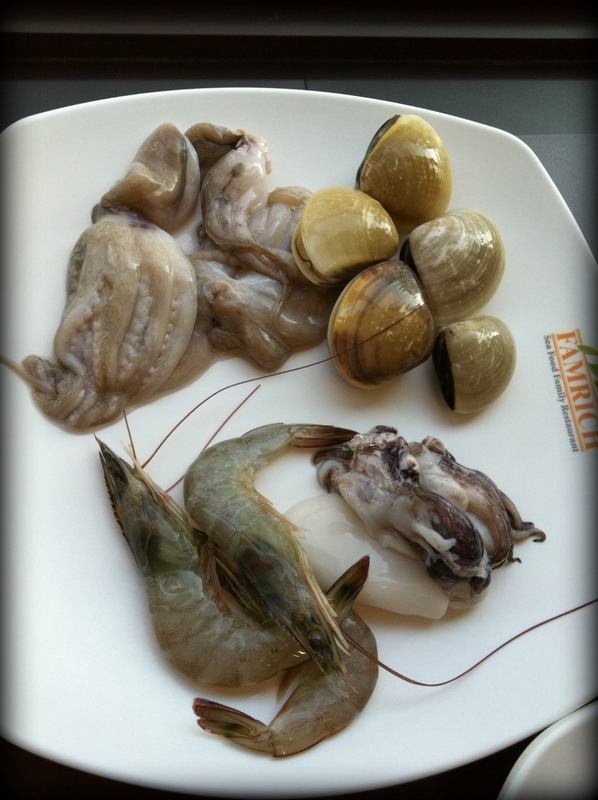 Squid, clams, octopus, and shrimp! 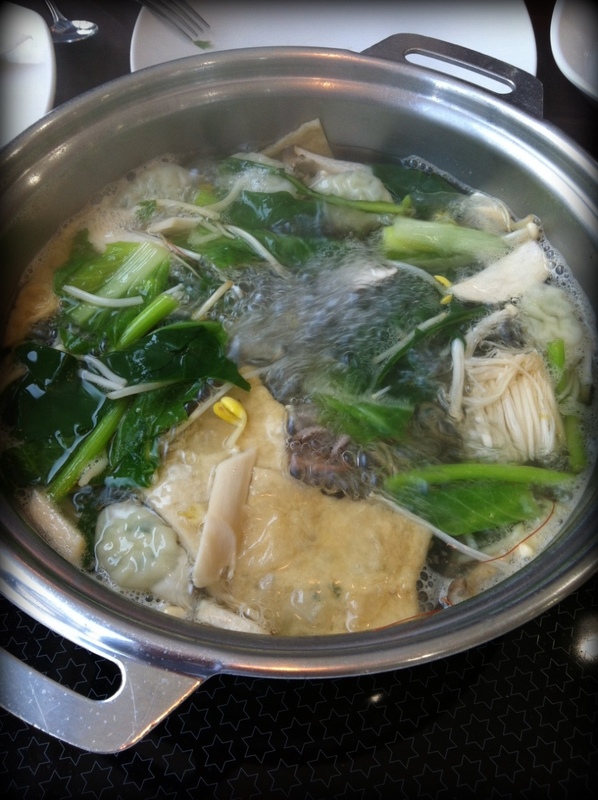 Have you ever had Shabu shabu? If you haven’t do you think you would try it?